The FOUNDATION fieldbus India Committee (FFIC) is hard at work on creating our FOUNDATION for ROM (Remote Operations Management) demonstration to be held at the Automation 2013 trade show in Mumbai from September 23 through 26 at the Bombay Exhibition Center. There is a great program of keynote speeches planned on the 23rd, including presentations from Peter Martin of Invensys on the value of automation. Fieldbus Foundation Chairman and President and CEO of Pepperl+Fuchs Dr. Gunther Kegel will deliver a presentation on the rise of Cyber Physical Systems in manufacturing. Fieldbus Foundation marketing manager Larry O’Brien will be delivering a presentation on the impact of digital communications on process automation, and Mr. K Nandakumar of Chemtrols Industries Limited will be delivering the keynote address. We have a full day FOUNDATION for ROM seminar planned at the show for September 24th. Details of the agenda will follow, but will include presentations from Larry O’Brien, Dr. Gunther Kegel, and B.R. Mehta, Senior Vice President of Reliance Industries (the Reliance Jamnagar Refinery is the largest FOUNDATION fieldbus installation in the world). Come to our End User and Sales Force Training Seminars in Chicago! 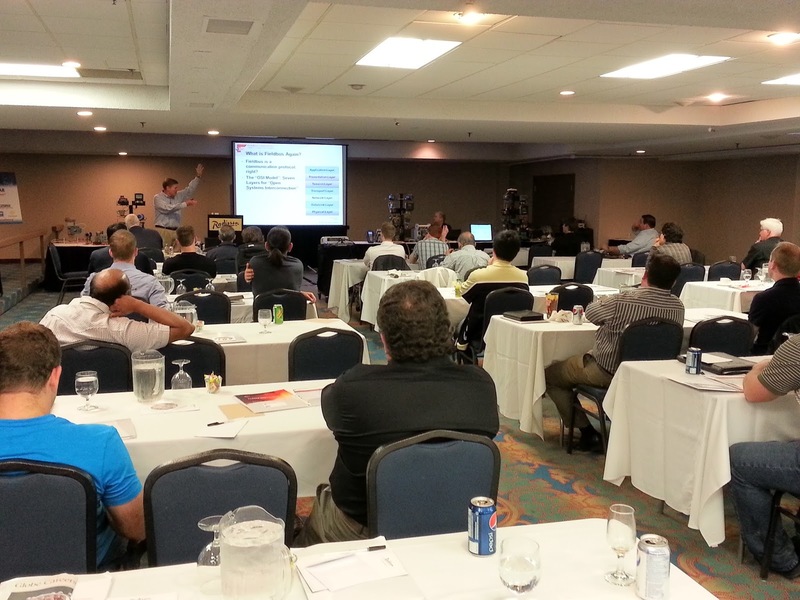 Our Chicago end user and sales force training seminars are right around the corner. We will be hosting our end user seminar on September 18th at the Chicago Marriott O’Hare hotel, and our sales force training seminar will occur on Thursday September 19th at the same venue. You can access complete agendas and registration information here. In addition to live demonstrations, you will also hear from some of the best and most advanced trainers, end users, and experts in the world of fieldbus. Dave Lancaster has helped implement countless FOUNDATION fieldbus projects around the world, and is also one of our certified instructors at Trine University in Indianapolis. John Rezabek of Ashland Chemical is Chairman of our End User Advisory Council and has years of experience using FOUNDATION fieldbus on a day-to-day basis. We often also call upon Herman Storey who is now an independent consultant after retiring from Shell Global Solutions recently. Herman is extremely knowledgeable and intimately familiar with the Fieldbus Foundation and its processes while approaching everything from his end user perspective. Intended to provide a greater understanding of the operational improvements and business benefits delivered by the FOUNDATION automation infrastructure, the sales training seminars will be presented by leading experts in fieldbus technology. The seminar content is designed to be vendor-neutral, addressing key topics of interest for salespeople involved with control and instrumentation products. In particular, the seminars aim to dispel myths about FOUNDATION technology and provide hard facts and data salespeople can rely upon. These sales force training seminars are also free of charge and every attendee leaves with the FOUNDATION fieldbus sales force playbook.